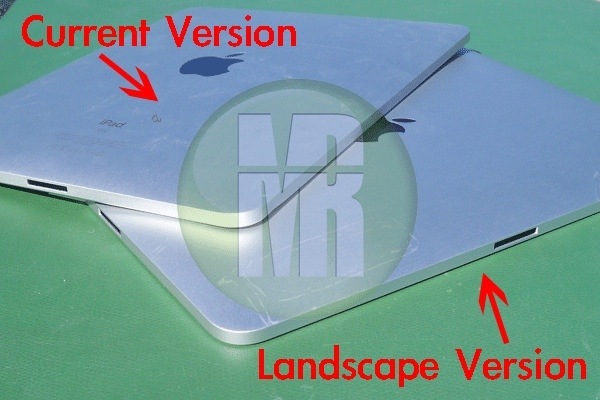 Some pictures purporting to show the next-generation iPad have surfaced, showing what appears to be a second dock connector port. The second port isn’t entirely without precedent — some patents uncovered a few weeks ago showed one, though that’s not much to go on. Personally, I’m leaning towards… well, “fake” is the wrong word, but certainly not real. My main issue is that it’s simply not Apple’s style. They work in simplicity, and a second port not only complicates the visuals, but it’s mostly redundant, something I feel both Ive and Jobs would disagree with. It also makes the whole thing less symmetrical, creating more of a “right” way to use it. Duplicating wiring inside would be unwise, too: space in Apple products is of the highest value, and having to double the wiring for power and syncing is wasteful. MacRumors seems pretty sure this was a prototype for the current iPad, built in very limited numbers for real-life comparison and scrapped for the reasons I’ve mentioned.